The ability to hear properly teaches young children how to succeed in school, sports, and in their everyday personal relationships with family and friends. There are a variety of noise sources that children are exposed to regularly and if the right protection isn’t in place, these noises could cause hearing damage. Why is it important to teach about hearing protection at such an early age? Here are four important reasons. It is a Growing Health Concern: Hearing loss affects everyone and it is a significant health issue that far too often goes untreated. According to Canadian Health Measures Survey, an estimated 40% of adults aged 20-79 had hearing loss in at least one ear. Furthermore, it is stated that hearing loss in young children can negatively impact academic success and language development which is needed for classroom learning and personal growth. Teaching Health Best Practices Does Work: While smoking and teenage pregnancy have been a concern for years, recent studies show there has been an improvement in both areas. Educating children at a young age so they are aware of important health topics, is an effective solution and one that is worth doing. Teach your children that lowering the volume keeps your ears safe, that moving away from excessive noise is important for your ears, and finally that you should be wearing hearing protectors such as earplugs if and when you are in a noisy environment. If you are a school teacher, consider reviewing the anatomy of the ear so that you can educate students about safe sound levels and what sound levels can lead to noise-induced hearing loss. Influence Happens Earlier: Children in elementary school are usually more willing to learn, listen and discover the makeup of their bodies and how to look after them properly over adolescents and adults. As children get older peer outlooks often take precedence so it can be more difficult to change/influence habits during this phase. Most importantly, the sooner we teach children about earplugs and their ability to protect our ears, the easier it is to create a healthy habit that will last. It is Preventable: Keep in mind that noise-induced hearing loss is entirely preventable; whether you avoid this by moving away from the source of the sound, lowering the volume of your device, or blocking the sound with ear protection, there are so many options that can keep your ears protected; and it’s easy! The world is getting louder by the day, so it’s critical that we are proactive in teaching our children about ear protection as early as possible. Hearing Loss Adds Up Over Time. Noise-induced hearing loss takes place when the tiny sensory hair cells in the inner ear are damaged by sound that is too loud or carries on for too long. Noise damage can add up over time and affect your hearing down the road. 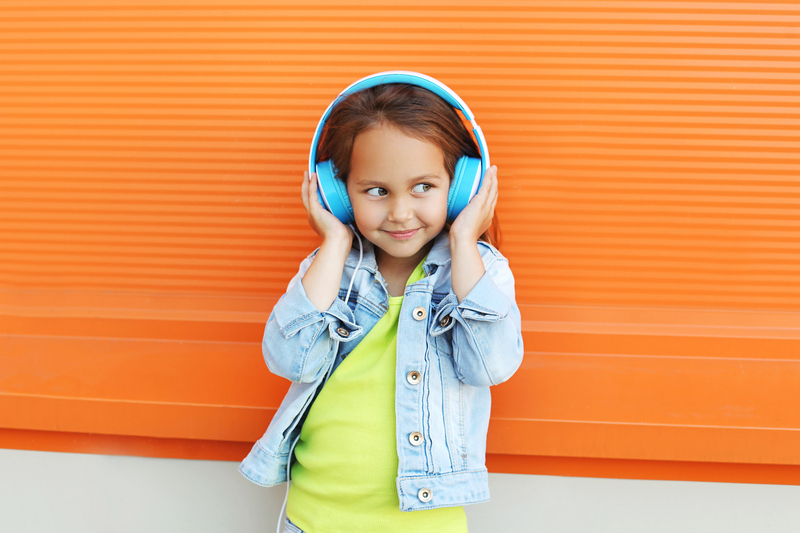 If kids are regularly exposed to loud noise, the risk of hearing damage will increase as they get older. Speak to your children about the causes and prevention of noise-induced hearing loss so that they can make wise decisions early on. Due to the fact that kids also learn through observation and imitation, you should be setting a good example by adopting smart hearing practices as well. If your child is suffering from hearing loss or you’re simply looking for more information regarding the signs and symptoms of hearing loss in children, please book a consultation with our audiologist today. We are more than happy to discuss with you. Contact Union Hearing Aid Centre, in Toronto at 416-364-2264.